There’s décor I like, and then there’s décor I can’t. stop. thinking. 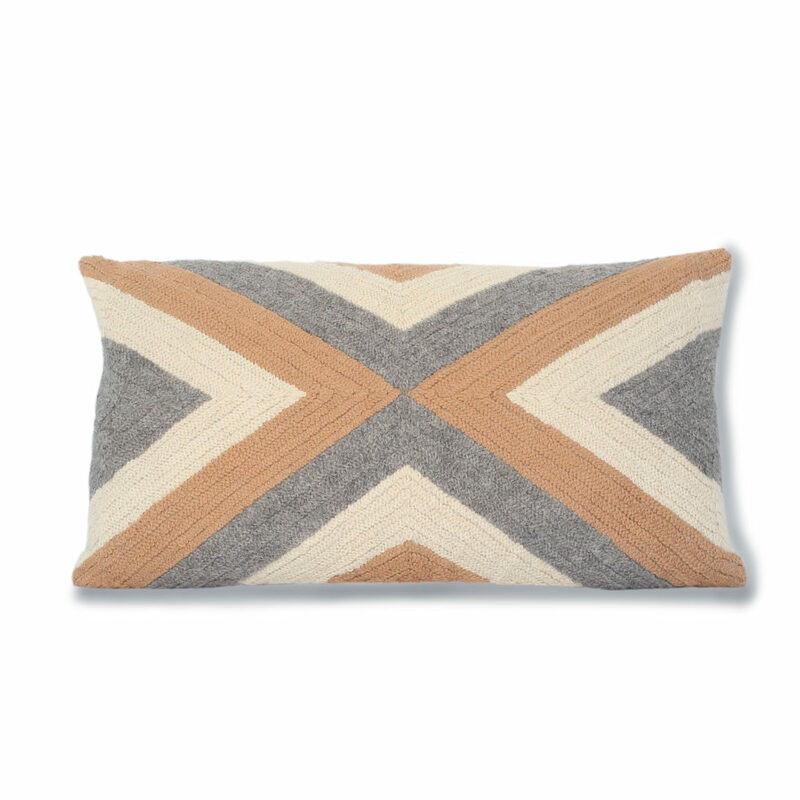 about…aka, my current “Funk favorite.” Right now, I’m digging the Grinda Rectangle Pillow from local home and accessories designer Johanna Howard Home and Accessories. I am always on the hunt for luxurious accessories that accentuate a room’s natural beauty without sacrificing comfort or functionality. Throw pillows are great accent pieces for rounding out a space, be it a serene master bedroom or an inviting living room. The Grinda pillow is a real gem. It’s made of 100% baby-alpaca wool, and its elegant geometric pattern is embroidered by hand. You’ve heard me discuss my obsession with blush and camel this season, so it’s no surprise that I gravitated toward this particular pillow. In my own home, I would showcase this beauty on the leather couch in my family room. The contrast of weathered leather and soft wool would be divine. It wasn’t long after visiting the alpaca farm before Johanna was meeting with Peruvian artisan knitters and weavers, complementing their 6,000-year-old craft with her passion for colors and textiles. The company collaborates with fair-trade and women-owned studios in Peru, and the result is inspiring and impressive. Johanna’s beautifully curated line of home accessories is one that can be passed down from generation to generation, and appreciated by all. Which of Johanna’s accessories is your favorite?